Watch the fight of Brian Viloria of the Philippines vs the Mexican fighter Omar Soto. Fight happened at Florentine Gardens, Hollywood, California, USA on July 25, 2015. Viloria really dominated the fight and scored 3 Knockdowns to finish the fight in the first round. 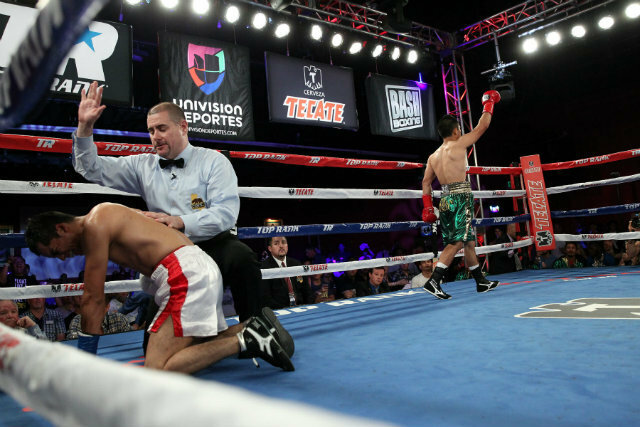 The fist of Viloria showed another emphatic victory this time. Viloria now is eyed for another world title shot against Roman Gonzalez of Nicaragua or against the Mexican champion Juan Francisco Estrada.